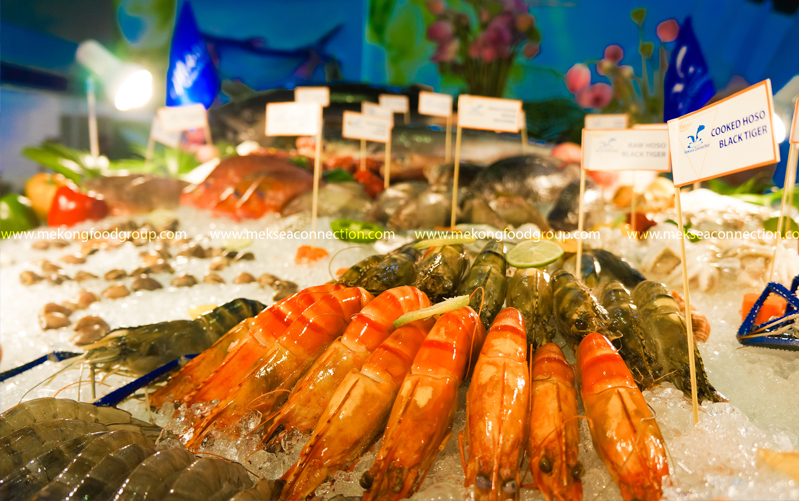 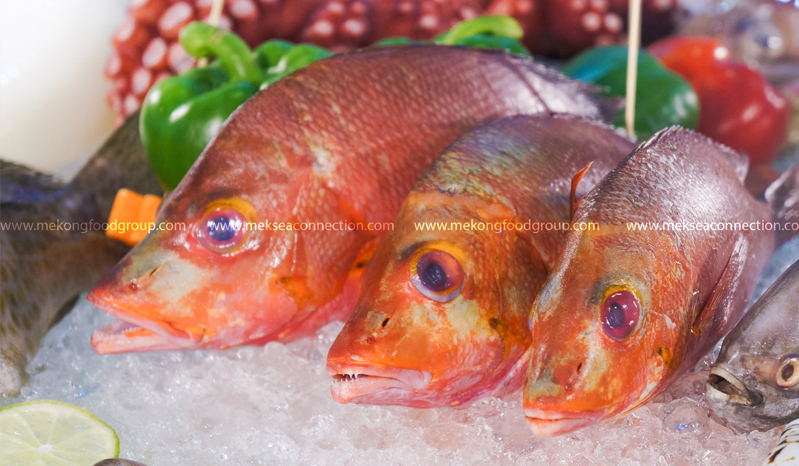 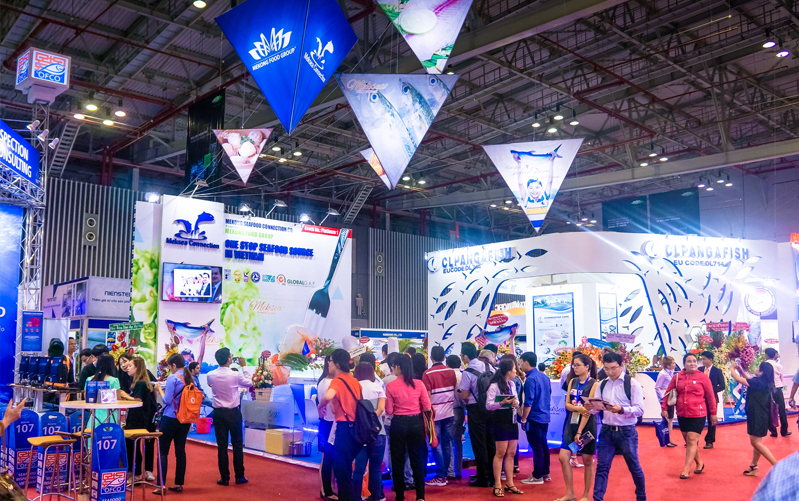 Vietnam Fisheries International Exhibition (Vietfish) held every year is among top worldwide seafood expositions, and the largest one in Vietnam. 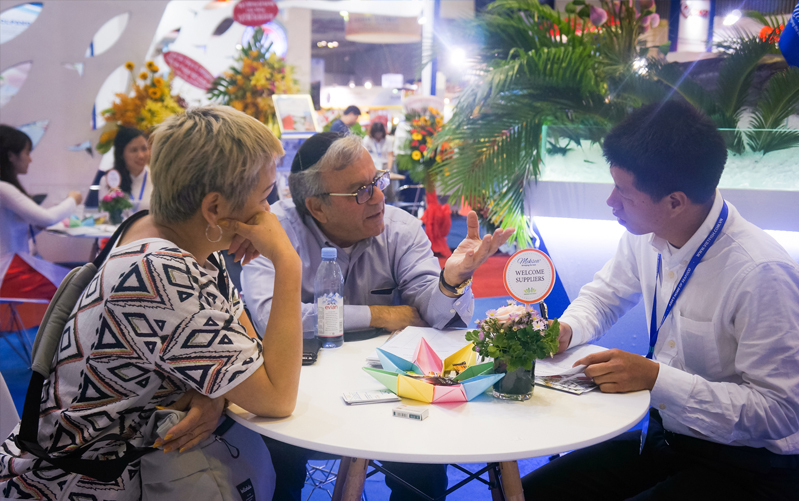 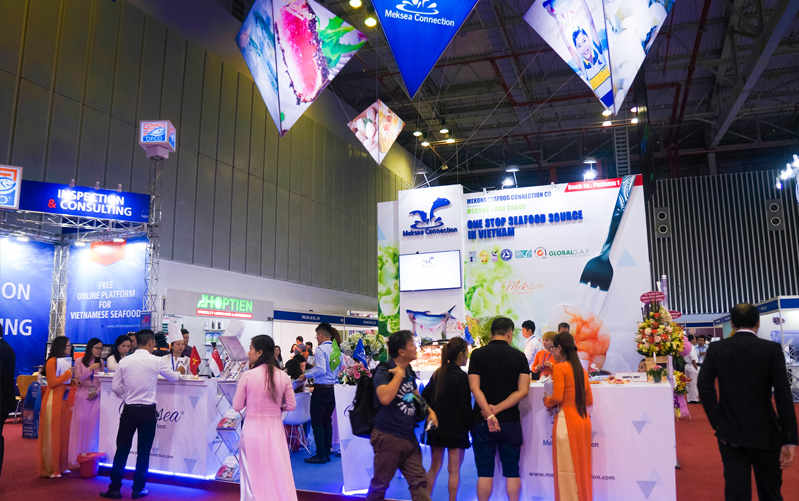 This year, the exposition took place from August 29 to 31, 2017 at Saigon Exhibition & Convention Center (SECC) located at 799 Nguyen Van Linh Str., District 7, Ho Chi Minh City, gathering over 200 exhibitors from Vietnam and other countries in the world, and appealing to almost 30,000 domestic and overseas visitors. 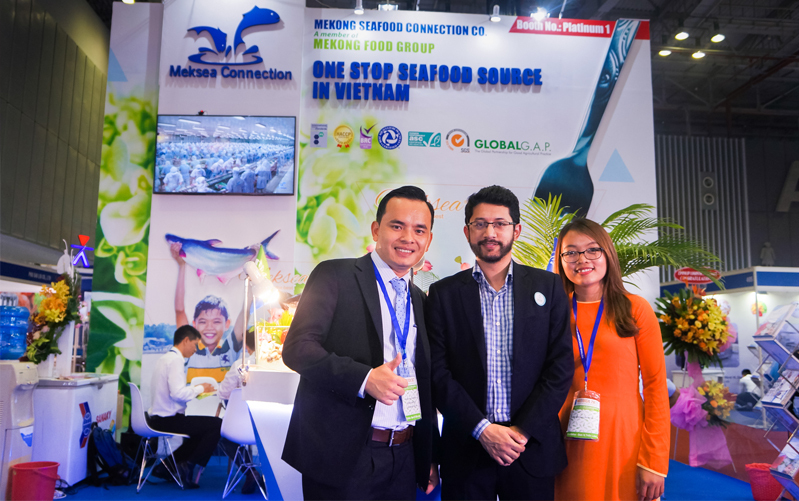 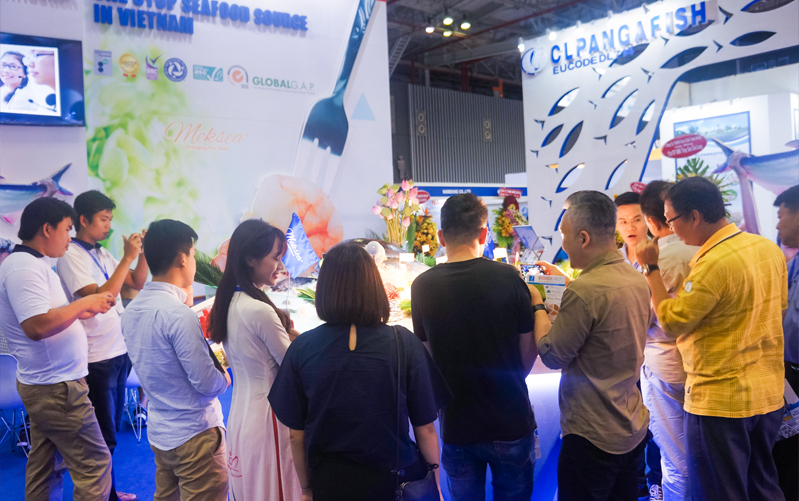 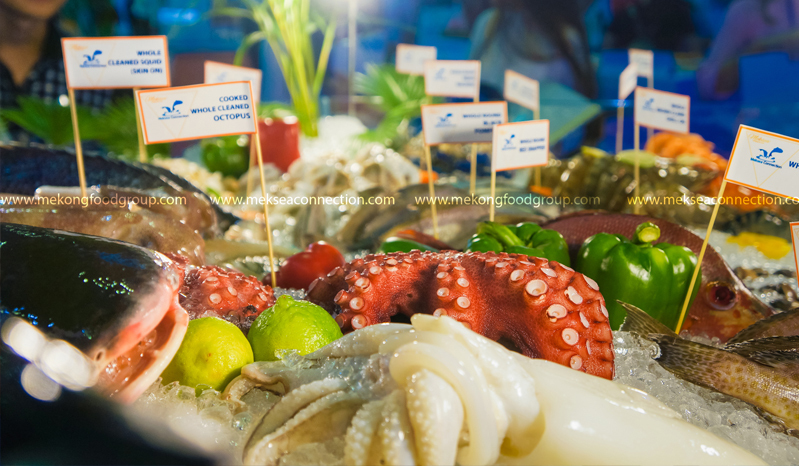 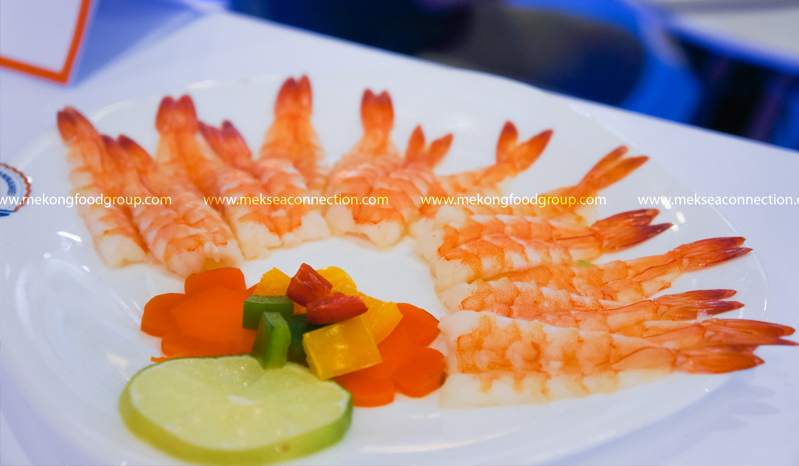 Continuing its previous years’ successes, Mekong Seafood Connection Co., Ltd (Meksea) had the distinct honor and privilege of joining this year’s show held by Vietnam Association of Seafood Exporters and Producers (VASEP) and being the main sponsor of Vietfish 2017. 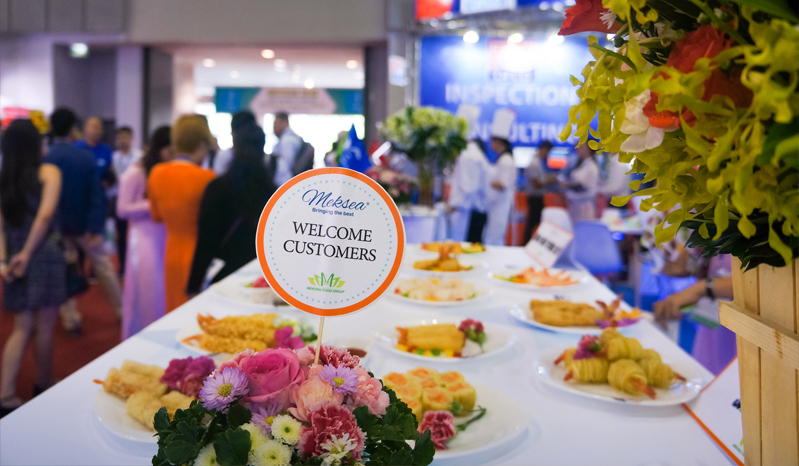 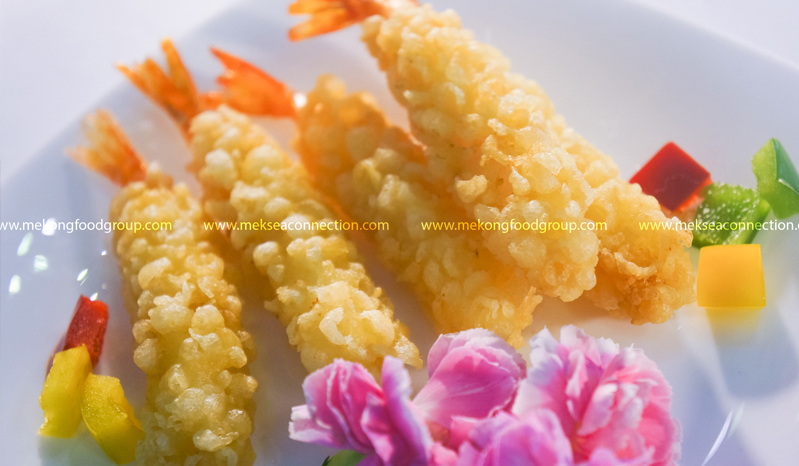 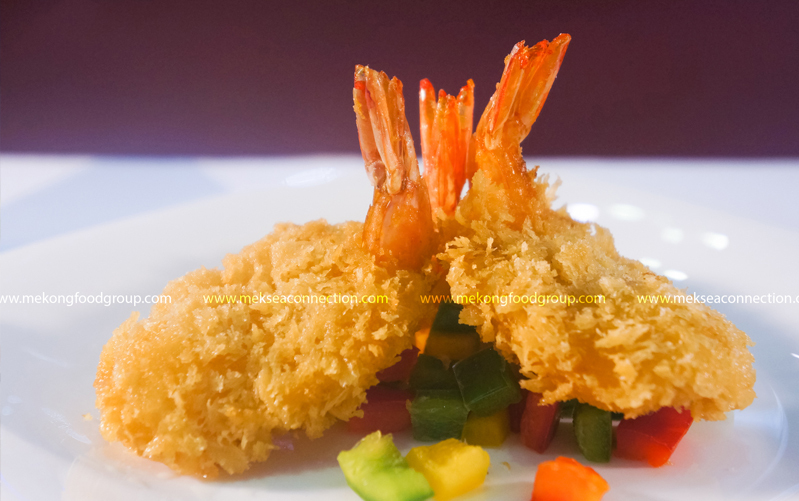 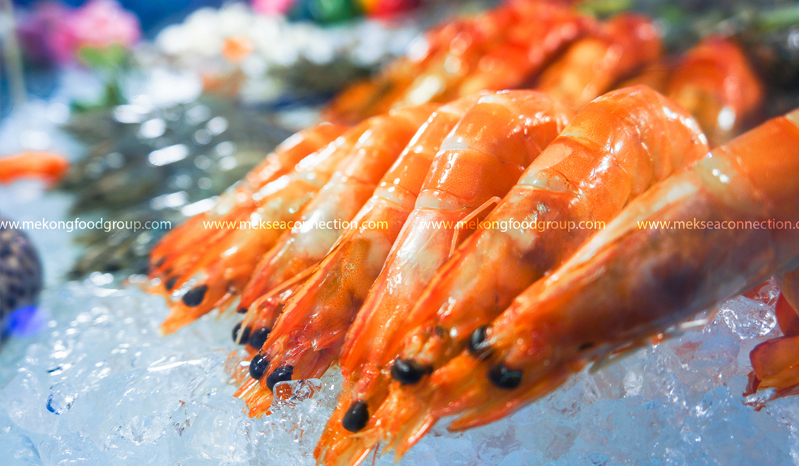 Recognized as a leading distributor of high quality seafood in Vietnam, Meksea displayed and introduced several product lines which had long made the company’s name such as Shrimp, Pangasius, Pelagic fishes, Octopus, Squid and Breaded Seafood Products (breaded shrimp, Potato shrimp, Torpedo, Filo, Tempura, Butterfly, Burger, Spring rolls, Shumai and Hakao). 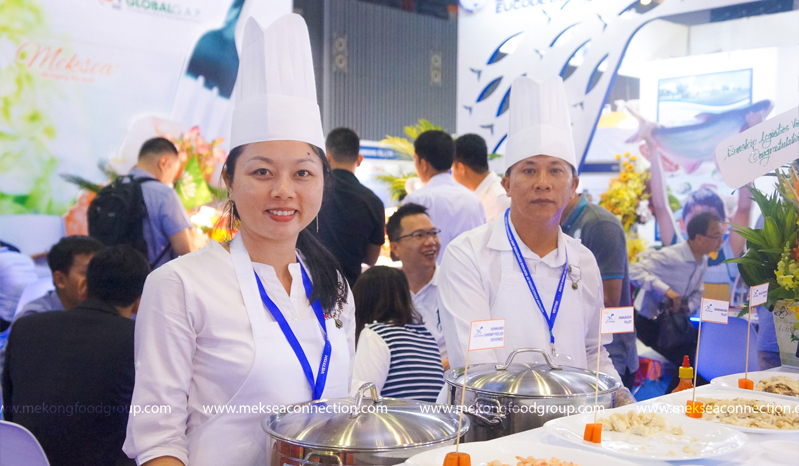 During the 3 exhibition days, Meksea welcomed more than 1,000 visitors and received over 200 inquiries and contacts from customers worldwide, mainly from Malaysia, The Philippines, Korea, China, Hong Kong and European countries. 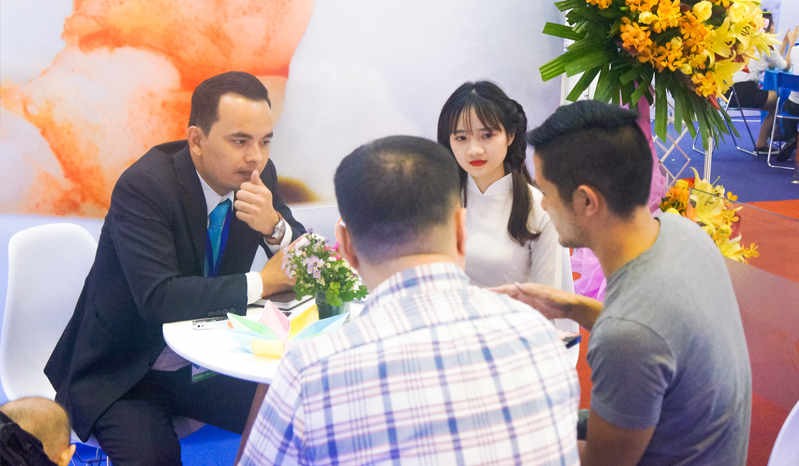 With an innovative and inspiring design based on the shape of a diamond, the booth number Platinum 1 of Meksea got complimentary remarks from other exhibitors as well as visitors at the show. 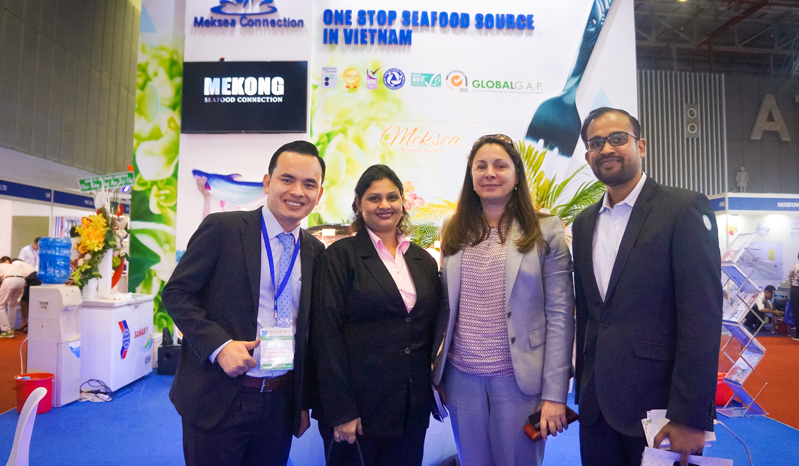 The expo was also a great occasion for Meksea with its partners and manufacturers to discuss plans of boosting exports and expanding markets in the coming time; especially when Vietnamese seafood has been having many opportunities to grow and develop since many important trade agreements of which Vietnam is a member have been into effect. 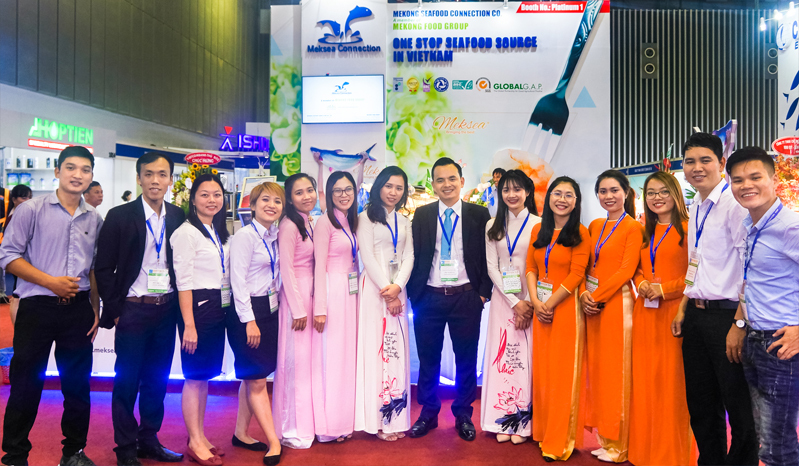 On the occasion of Vietfish 2017, Meksea would like to express its sincere thanks to partners for their trust and support during the past time. 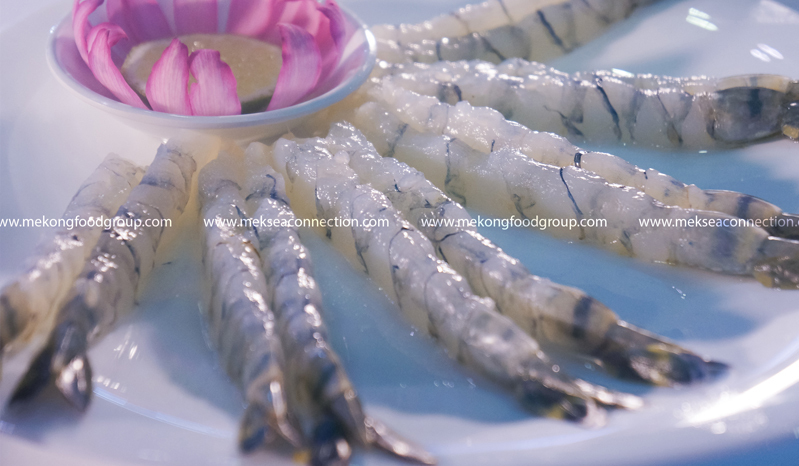 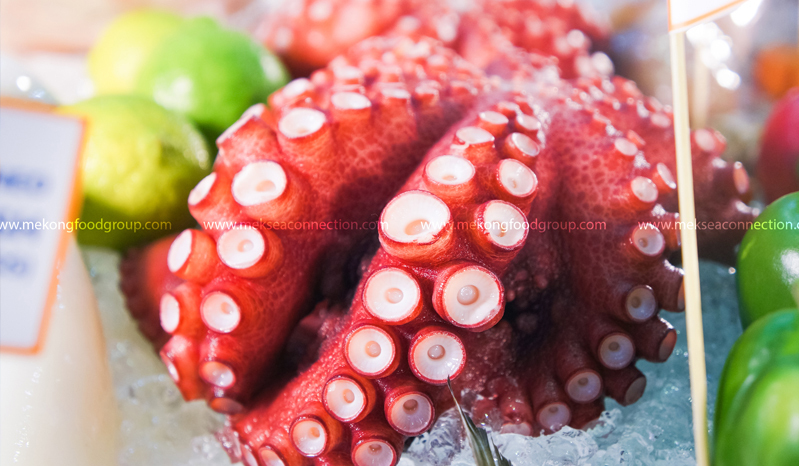 In the near future, we deeply hope to expand and tighten our connections with not only Manufacturers, Customers but also Individuals And Organizations inside and outside Vietnam to raise the prestige, quality and success for Vietnamese seafood on the global market. 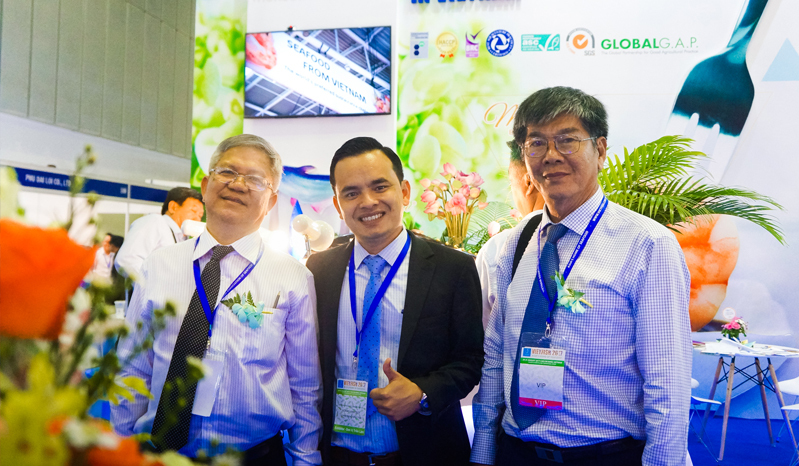 Meksea at Vietfish 2018 – 20th anniversary of Vietfish Expo.